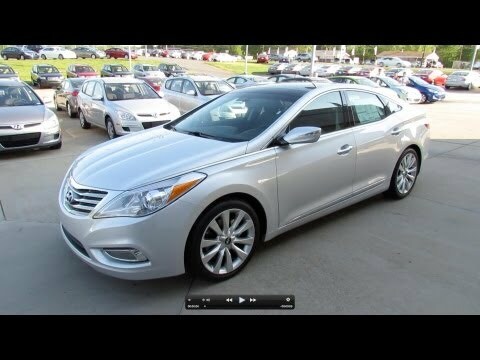 The 2012 Hyundai Azera stands out in the large-sedan segment with its great looks and terrific value. This 5-passenger sedan also offers a strong V6 engine and generous 10-year/100,000-mile warranty, but its steering feel and suspension remain weak spots. Good car has a good sound system for a small compact car. The 2012 Honda is dependable easy to drive good on gas comfortable and good air plenty of space for. Packages good steering and easy to maneuver nice glove box with plenty of space easy to wash and clean small tire which cost less spacious beverage center strong wipers nice radio volume. Heated seats and plastic wood grain and leather. This has been a terrific car. Bit just turned over 100, 000 miles. It luxury riding comfort with heated seats is great. It had been very dependable with average maintenance. Hyundai will notify owners, and dealers will recalibrate the airbag system. The manufacturer has not yet provided a notification schedule. Hyundai's recall number is "Campaign 111." Owners may contact Hyundai at 1-800-633-5151.